THIS WEBSITE IS DEDICATED to helping American men and women resume their rightful stature as the masters and mistresses of their own lives and fortunes, just as was intended by the founders of this great country. Achieving that end involves nothing more than 1.) gaining an accurate understanding of our legal, economic and political structure as designed and implemented in our fundamental law; 2.) learning how that structure has come to be widely misunderstood by the American people generally; 3.) learning how that general misunderstanding is broadly and deeply exploited by private interests; and 4.) standing up and insisting that the law be administered and upheld as written. It's that simple. One of the most important areas of our fundamental law concerns control over individual labor and property. Intending to establish a society based on individual liberty, America's founders designed our legal structure so as to ensure that to the greatest degree possible-- consistent with the need for securing that liberty against internal and external threats-- an individual's control over his or her own labor and property remains uncompromised by government. The reason for this specific attention was two-fold: Individual control over one's own labor and property was recognized by the founders as the essence of the individual liberty which was the point of the whole exercise; further, individual control over labor and property was also recognized as the best means of non-violent restraint upon the despotism to which all political structures are prone, including our own. But in the late 1930s, a by-then 20-year-old concerted effort to erode common understanding of the taxation principles, prescriptions and proscriptions built into the United States Constitution began to bear fruit. In particular, and most significantly, a mythology serving progressive, statist interests was developed concerning the legal nature of the income tax. This mythology (and the consequences it engendered) was rightly seen as the best mechanism by which American liberty and rule of law could be subverted and control over the resources of individual Americans could be transferred to those in command of the State. HERE'S THE LIBERATING TRUTH IN A NUTSHELL: The income tax is a benign, Constitutional tax that simply doesn't apply to the earnings of most Americans. The tax laws themselves, scores of United States Supreme Court rulings, and every other relevant authority all acknowledge this truth in no uncertain terms. The federal and state governments acknowledge this themselves, and have been doing so for years now since this book first revealed the truth about the tax in complete and comprehensive detail in 2003. These acknowledgements take the form of tens of thousands of complete, 100% refunds of every penny paid-in by, or withheld from, American men and women in connection with the income tax-- Social Security and Medicare taxes included. Click here to find links to a few examples, along with tax agency surrenders in "deficiency" proceedings, levy and lien releases, garnishment reimbursements, and so on. Budget some time. You're in for a long mind-boggle. YOU NEED TO LEARN THIS TRUTH! Your fellow Americans need you to learn this truth. Learning the truth about the tax-- along with how it works, how it is often misapplied, and what can and should be done when that has happened-- is the only way to stop being an exploited victim of a decades-old scheme that is a national disgrace. More importantly, learning that truth transforms helpless victims into powerful, responsible, grown-up citizens of the Constitutionally-limited American republic that the Founders of this great country established for themselves and their posterity. I say "responsible, grown-up citizens" very deliberately. 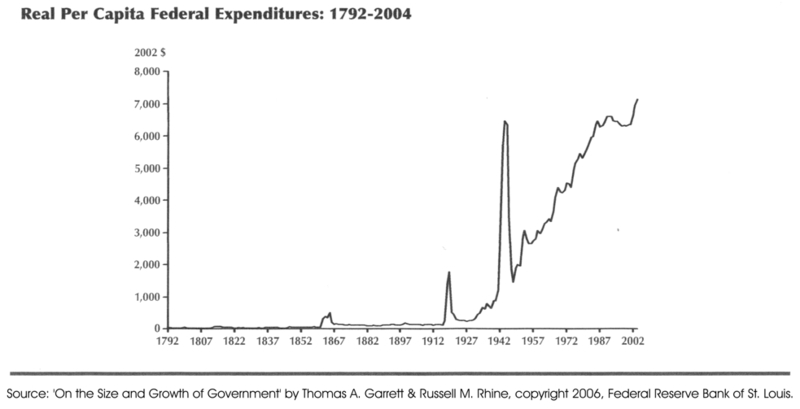 As noted earlier, one of the key objects of the US Constitution is to keep the federal government from being the master of its own fuel supply, lest it get out of control and burn down the house around us all. 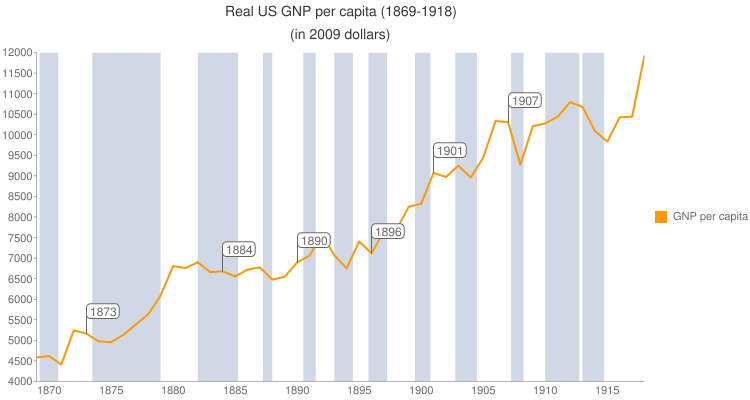 Among the mechanisms deployed by the Founders on behalf of this critically-important purpose was putting control over how much wealth the government could take directly from the citizenry entirely in the hands of each individual American. This design relies upon each American being a responsible grown-up and using this control to keep our servant government on the leash and obedient to the fundamental law. The Founders' fuel-supply-control mechanism remains fully intact (the 16th Amendment notwithstanding), and all income-tax-related federal and state laws conform to that mechanism and its purpose faithfully and precisely. The only thing lacking is you doing your part. I know this all sounds fantastic (as in, "a fantasy")-- but you DID click on that link above, right? The reason this all seems fantastic is simply the success of that campaign to implant in your mind the myth that back in 1913, the American population got drunk one night and undid the Constitutional structure of strict limits on federal taxing power (and thus ALL federal power) that had brought this country to the very pinnacle of wealth and personal freedom in all of world history. As ludicrous as it sounds when actually said, the myth declares that the elite, or the working class, or both together, somehow got it into their minds to unleash the junk-yard dog of government and authorize it to take anything or everything from anybody who earned it, whenever any given cabal of political hacks in Washington or a statehouse chose to do so. As you have now seen, this is pure hogwash. 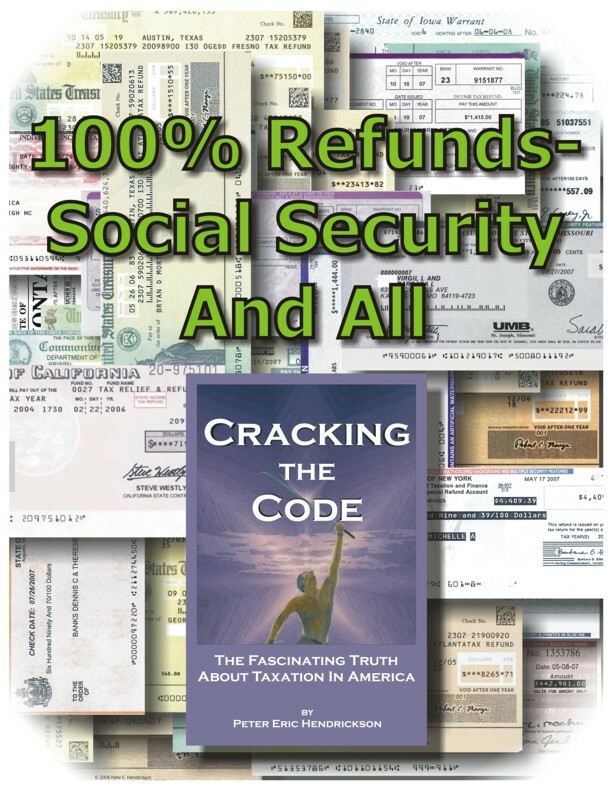 To learn the REAL story, read 'Cracking the Code- The Fascinating Truth About Taxation In America' ('CtC'). In that book you'll learn the truth about the 16th Amendment, and the truth about the tax-- including how the myths about both are used against the unwary. Order the book here, because the grown-ups already acting to enforce the law NEED YOU DOING YOUR PART, TOO!! By the way, some of the concrete tax-agency acknowledgements of the truth about the law happen only after strenuous resistance by the governments involved-- but happen nonetheless, making them even more pointed evidence of the real nature of the tax. See some examples here. ALL of these victories in enforcing our law against Leviathan-- the simple, no-hassle vast majority and the minority that have had to overcome obnoxious tax-agency misbehavior-- have been happening continuously week after week for years now despite ever-increasingly-vicious disinformation and discouragement campaigns designed to suppress readership of CtC and keep more Americans from learning the liberating truth about the tax and the law that some in the political class find extremely inconvenient. These campaigns against CtC by the IRS, the DOJ, the political hacks that have been looting America for decades and a lapdog mainstream media that is perfectly happy with the status quo are conducted because those responsible for them simply DON'T WANT YOU TO READ the book and learn the truth. The political elite LIKE spending your money (or seeing it spent in ways that suit their policy agendas), and they will stoop to anything to discourage your interest, including slanderous character assassination, fraud, and worse. "Thank you so much for your exquisitely documented and beautifully written "Cracking the Code"- "This book is a masterpiece of analysis, clarity and revelation." "I just finished reading Cracking the Code yesterday and I must congratulate you on this fine piece of work. I have spent several thousand hours in the law library researching these and other legal issues, and your book is a masterpiece." "After reading your book, I knew that you had found the answer that everyone has been looking for." Thank you for your superb work..."
"After receiving CtC I read it in a day or two (every spare minute I could get). It is the best book-- the best material-- I have read yet on the income tax issue." "Thank you for your research and your great book..."
"Wow!!!! I've been studying this for 10 years and haven't gotten anything as clearly as you have put it in your book. I will be ordering more copies to put into the hands of everyone I know!! I cannot thank you enough for your time and research." "Thank you for the most informative, wonderful book I have read in ages." I want to express my congratulations and my gratitude for such an exhaustive and thorough work as 'Cracking the Code'". "[I found it] extraordinarily enlightening." "...the best info I have ever read." Click here to read reviews and additional reader comments, find out more about CtC, and get your own copy. and THEN get CtC and learn the whole liberating truth. "I confidently trust that the American people will prove themselves...too wise not to detect the false pride or the dangerous ambitions or the selfish schemes which so often hide themselves under that deceptive cry of mock patriotism: 'Our country, right or wrong!' They will not fail to recognize that our dignity, our free institutions and the peace and welfare of this and coming generations of Americans will be secure only as we cling to the watchword of true patriotism: 'Our country--when right to be kept right; when wrong to be put right.'" Want to get on the free Newsletter mailing list? Just click here and subscribe to the group. Leave all options in their default settings! Corrupt elements in the federal government have been trying for years to keep the liberating truth revealed in CtC from the eyes of the American people. Keeping that truth alive and available requires your help! All written and graphic materials on this site not otherwise attributed or in the public domain are copyrighted 1997, 2014 by Peter E. Hendrickson. All rights are reserved.